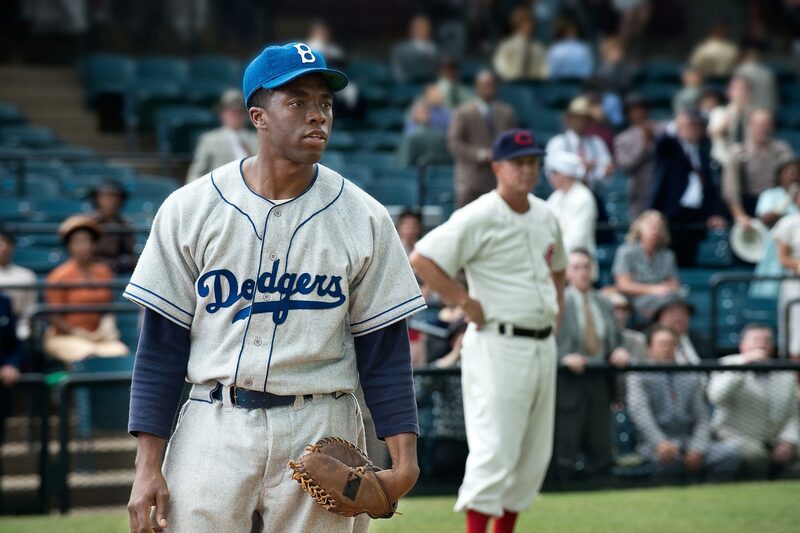 I saw 42, the long overdue biopic about Jackie Robinson, last weekend. I was going to publish this post on Monday (Jackie Robinson Day). But with everything that happened in the last week, I thought this list might be too stupid to post. But whatever. 42 is a feel-good movie about integrity, perseverance, and loving your f-ing team. And maybe it will restore your faith in humanity a little bit. That is very necessary right now. When a kid, who later is revealed to be Ed Charles, sees a baseball field for the first time. When that same kid chases after Jackie and he tosses him a baseball. When Wendell Smith reminds Jackie that he is not the only one who struggles because of segregation and that what he doing is bigger than himself. When Jackie turns his Dodgers jersey around and reveals the number 42. When Jackie is relentlessly taunted by Ben Chapman but can’t respond. So he goes into the tunnel, smashes his bat, cries, and is given a pep talk from Branch Rickey. Then he hits a home run. When that white kid copies his father’s behavior and momentarily taunts Jackie. When Pee Wee Reese embraces Jackie and I don’t even care that it probably didn’t happen that way. When I realized Branch Rickey’s assistant was played by T.R. Knight and I was reminded that Grey’s Anatomy has not been good since George O’Malley died. When Branch Rickey admits that Jackie made him love baseball again. When the Dodgers win the pennant and Rachel Robinson is high-fiving everyone on the streets and even Red Barber is stoked and we pretend that the 1947 World Series never happened. When the end credits roll and there is footage from Jackie Robinson Day with current baseball players wearing the number 42. In conclusion, I am a big sap and nothing turns me into a pile of mush more than a good baseball movie. Never get me started on how much I sob during A League of Their Own. When I go into a romantic comedy directed by Roger Michell (Notting Hill) and written by Aline Brosh McKenna (The Devil Wears Prada), I expect quirky characters, some funny monologues, and montages set to the poppiest of pop tunes. What I don’t expect is Broadcast News, the film Morning Glory has been endlessly compared to since its release. Morning Glory lacks the deep, satirical introspection of broadcast journalism that makes Broadcast News a juicy classic. 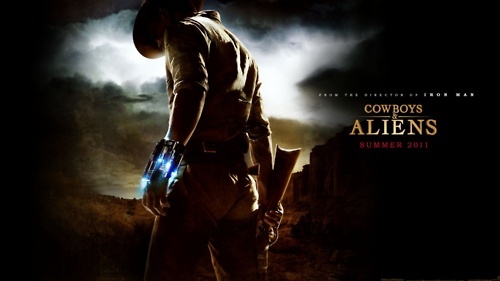 But in the case of this movie, it doesn’t bother me one bit. If I want Broadcast News, I’ll watch Broadcast News. Becky Fuller (Rachel McAdams, finally getting a role worthy of her boundless screen charm) is a young, harried, loveless, workaholic producer for a New Jersey morning news program. (She also has really unfortunate but endearing bangs.) After being fired, she sets out on a frantic job hunt that lands her way into an executive producing gig with “Daybreak”, the joke of the morning news. The experienced but dedicated Becky is given the seemingly impossible task of saving the fourth-rated program from cancellation. She hardballs legendary news anchor Mike Pomeroy (Harrison Ford) into joining the program as co-anchor with Colleen Peck (Diane Keaton). Pomeroy and Peck battle it out on the airwaves for control over the show with Becky stuck as the middleman. Ford, nailing the part of the curmudgeon newscaster, steal scenes with every monotone mumble. In a movie all about its endearing female lead finding success and love, it is the romance that’s put on the backburner. We’re supposed to care that Becky’s relationship with hunky news producer Adam (Patrick Wilson) is floundering. (Girl, just put down the Blackberry!) But we don’t. That is in part because their relationship is inconsistent and underdeveloped. Adam is just a prop, whose sole purpose is to teach Becky how not to be a neurotic workaholic and to show the audience just how lovable she can be. When you place these two character’s alongside “Daybreak”’s quirky characters, the up-for-anything Colleen, the goofy weatherman, the entertainment girl with a limited vocabulary, -who all join in Becky’s shameless attempts to boost ratings – the effortless charm of Morning Glory wins out. Yes, Morning Glory may lack the depth of Broadcast News. But since when does every movie set in a newsroom have to be Broadcast News? That presumption and expectation sets an impossible standard for most films to reach. Especially when Morning Glory is, in its own way, a solid, enjoyable, and yes, fluffy, to use Mike Pomeroy’s favorite word, romantic-comedy.